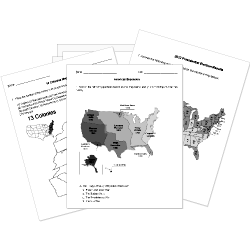 You can create printable tests and worksheets from these Grade 9 Africa and Middle East questions! Select one or more questions using the checkboxes above each question. Then click the add selected questions to a test button before moving to another page. Which explorer, who was responsible for mapping the Congo River and central African lakes, is best remembered for the phrase "Dr. Livingstone, I presume?" What year was the Berlin Conference? By 1914, all of Africa was controlled by European countries except which three nations? In 1870, what percentage of Africa was under European control? Despite the agreements reached at the Berlin Conference, England and France almost went to war during which event? The speaking people migrated to other areas of Africa and spread their language. and were the early leaders in the transportation of slaves from Africa. Slavery had existed in for centuries but was relatively minor. was the first documented European to see Victoria Falls. What is the only West African country that is a member of the Organization of Petroleum Exporting Countries (OPEC)? By the end of the Atlantic Slave Trade, Europeans had transported approximately million Africans to the Americans.